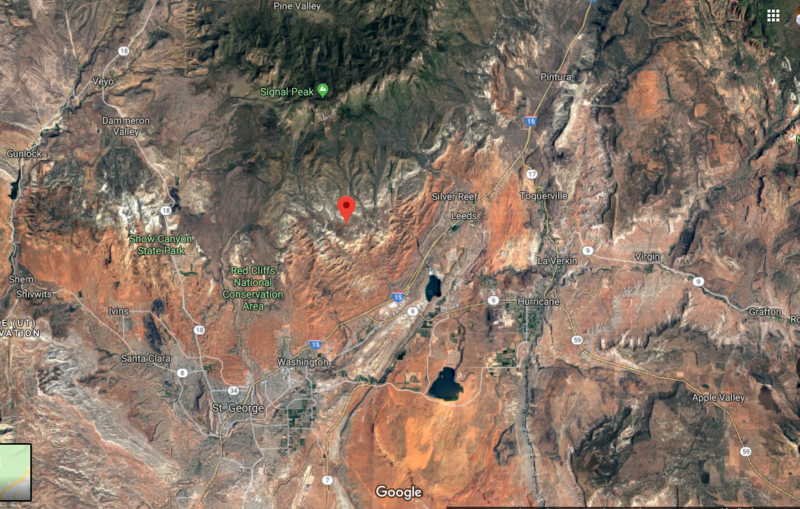 ST. GEORGE — Search and rescue teams searched through the night Saturday and into Sunday morning for two missing hikers who were located by an Intermountain Life Flight crew that landed in a deep ravine and hiked across rugged terrain to reach the pair and take them to the trailhead. 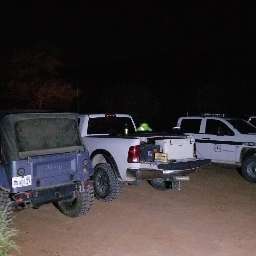 Shortly before 10 p.m. Saturday Washington County Search and Rescue was called in after the hikers reportedly became lost in the Yant Flat area, also known as Candy Cliffs, near Leeds. The husband of one of the hikers reported that his wife had sent him a text an hour or so earlier indicating she and her friend were lost “but they thought they knew where the car was.” After not hearing from them again he called 911 for help, said Sgt. Darrell Cashin, Washington County Sheriff’s Search and Rescue liaison. Cashin deployed rescue teams to the area after he confirmed the hikers’ vehicle was still in the parking lot near the trailhead and set up an incident command in the parking lot. Yant Flat is just west of Yankee Doodle Canyon which is not an easy area to access, Cashin added, so rescue teams arrived and began the hike across rugged terrain in search of the women. Meanwhile, deputies checked all access roads leading in and out of the area and using their lights and sirens attempted to alert the lost hikers that help was nearby, Cashin said, while providing an audio and visual navigational guide for the women to hike toward – efforts that were thwarted by the canyon’s layout and acoustics, which prevented light or sound from traveling very far. “Even after trying that we were getting nothing,” he said. Cashin arranged for the helicopter to conduct an aerial search of the area. The flight crew surveyed the cliff sides, Yankee Doodle Canyon and surrounding areas but were unable to locate the hikers, Cashin said. He started making arrangements for helicopter support equipped with night-vision technology. Meanwhile, the helicopter crew spotted the hikers and sought a safe place to land. “The hikers were in a clearing and waving their arms when the crew spotted them,” Cashin said. The helicopter landed and the crew hiked more than a quarter of a mile to where the women were located. After checking them for exposure issues or injuries, the crew guided the pair back to the helicopter and flew them to the trailhead. A video of Life Flight landing at incident command near Leeds was provided courtesy of Washington County Search and Rescue and can be viewed by clicking here. “She was extremely lucky,” Cashin said. Both were dressed for moderate weather and were wearing windbreaker jackets that worked well during the day, but did little to keep them warm in the 38-degree temperature at 4 a.m. when they were found. “And this is rough country out there,” Cashin said, “it wasn’t like a flat hike for the crew, it as rocky and pitch black out there,” Cashin said. The hikers were checked again by rescuers and even with the fall and exposure they were in good health, Cashin said. Their efforts were provided at no charge to the agency and are part of what they do as a service to the community, he said.